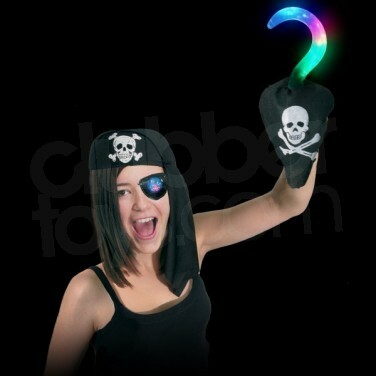 Achieve super funky pirate effects with the fabulous Pirate Hook. 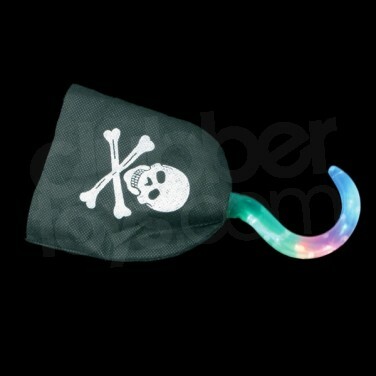 Bright and colourful LED's flash through seven funky effects making the Pirate Hook perfect for parties and fancy dress. 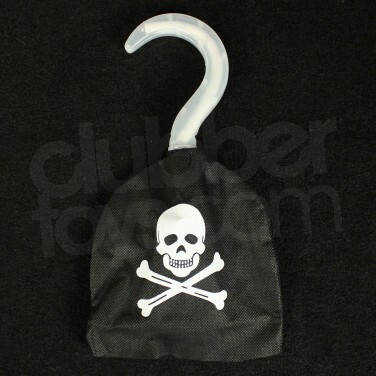 The plastic hook sits in a black sleeve featuring a skull and crossbones so that your hand becomes a funky light up Pirate Hook! Team up with the pirate eye patch and the pirate cutlass sword for really cool effects! 3 x AG13 batteries included and ready to go! Pirate Hook The perfect finish to a swash buckling pirate outfit, the Flashing Pirate Hook contains super bright LED's that flash through seven super funky effects!